At Stanwell Park Physiotherapy we work in partnership with our patient to improve movement, help recover from injury, reduce pain and stiffness and increase mobility and generally improve quality of life and well-being. 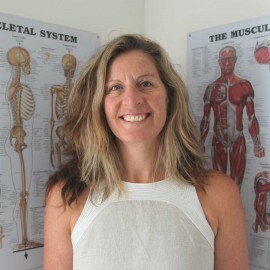 Stanwell Park Physiotherapy is fully equipped to assess, diagnose and treat muscular-skeletal and soft tissue issues including injuries from such things as motor accidents or sport. Our emphasis is on prevention and follow-up so we go to special lengths to help our patients understand their conditions and provide opportunities and encouragement for on-going improvement. We always start with a detailed discussion of your needs, taking into account your doctor’s advice and other information about your condition. It is not necessary to have a doctor’s referral to attend Stanwell Park Physiotherapy, but we are equipped to communicate and work with your doctor to ensure treatment outcomes. We will help you recover faster and return to normal activities after an accident, including motor accidents. The right habits and understanding of the body and its movements can help your children avoid injury in sport and everyday life, including learning effective stretching and preventative measures. Posture has such a huge impact on our comfort and well-being. We will analyse the issues and help you adjust.